March 15, 2010. Day 2 of the QCSSPAA Baguio Training, some of the SPA's decided to go to Sagada for an adventure. Maria Hazel Pineda (SPA of Batasan Hills National HS) and I thought of just exploring Baguio City. Bloggers Aileen Apolo, Ferdz Decena and Arvin Ello gave me tips and we tried Oh My Gulay at the penthouse of Azotea in Session Road Baguio City. I've always thought there was nothing to explore in Baguio as I've frequent the place in so many events including 2006 National Schools Press Conference. But OMG, Oh My Gulay truly surprised me. Upon entrance is the VOCAS (Victor Oteyza Community Art Space) advocacy statement and you'll see the creatively landscaped architecture of the place with so many artworks. The friendly waitress Chai, led us to the table overlooking the city and gave us the menu. 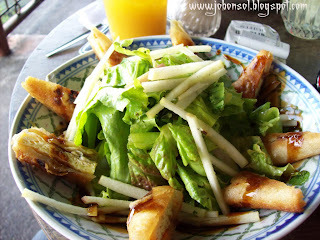 Hazel ordered Pesto Ala Pasta (P110) and I ordered the Lumpiang Salad (P110) with a glass of mango juice (P60). 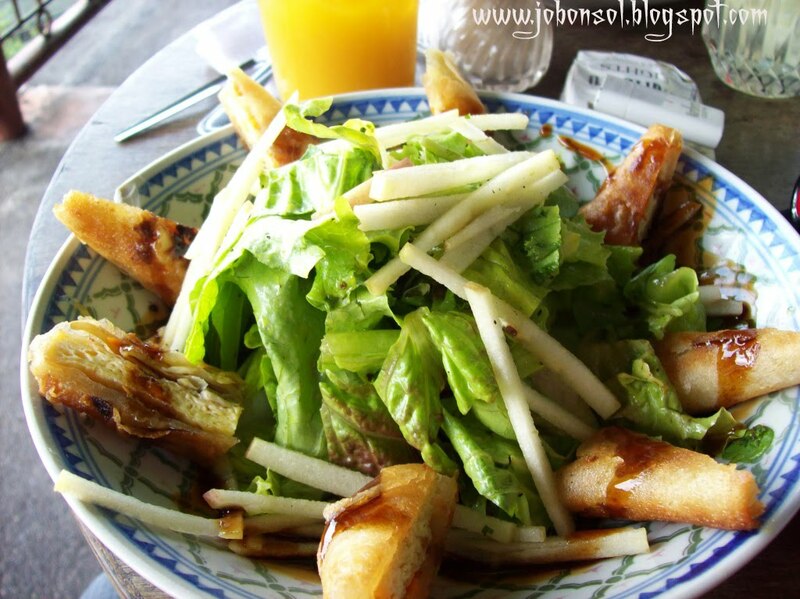 The lumpiang salad was so crunchy and healthy, lumpia (made of egg, cheese, carrots and veggies) with tossed fresh salad greens drizzled with sweet and spicy sauce. 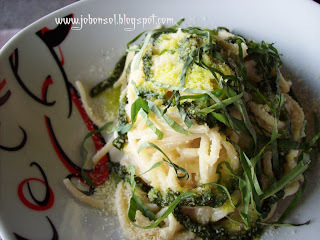 I also tried the pesto pasta of Hazel and it was also crunchy because the greens were fresh. Hazel was curious about how the food was made and explored the kitchen with Chef Marlon. We never wanted to leave although we still have another itinerary so we stayed a few more minutes to capture moments appreciating the pinoy artists in Baguio. The service of this place was really great. Chai, the waitess in the picture even showed us directions to our second itinerary - Bencab's Museum in Km.6 Asin Road, Tadiangan, Tuba, Benguet Province. From Oh My Gulay, Session Road in Baguio City, we took a cab to get to Bencab's Museum and funny how the taxi driver wasn't familiar with the place. It took 8.5 kilometers and an arranged taxi fare of P150 to travel from the Baguio City to the museum. We paid P100/pax for entrance and explored the galleries. One of most surprising and breath-taking among all galleries in the museum was the Erotica Gallery. Yes, it was an amazing sculpture and not just a symbol so we both gasped. Walking to four floors of galleries, the place was convenient with a coffee shop and we were so amazed at the landscaped area below the museum. We ordered two iced coffee at P80/each and was startled to realize that Mountain Province is already selling a Kopi-Luwak type of coffee served in the museum at P380 per cup. Kapeng Musang is the same preparation with Kopi Luwak where rodents eat the coffee beans and droppings are dried to brew. OMG, this and the museum makes me more proud being a Filipino. We, Filipinos are actually selling one of the most expensive coffee now. The greedy yet friendly taxi driver brought us back to Teachers Camp at the same price of P150/one way at 6pm. 1. Educational field trips to Baguio should include Oh My Gulay and Bencab Museum to help our fellow Pinoy artists in the country and educate more Filipinos of how indigenous the products and places are of Filipinos. Many Koreans are invading the famous vacation destination and very few Pinoys are left unaware of their precious secrets and treasures. I salute Bencab and the VOCAS for putting up such places. 2. The stories of taxi drivers and fellow Igorots in Baguio about Mayor Domogan's activities and Igorots rituals truly inspired me of how religious they are of their culture and cleanliness that makes Baguio a truly wonderful place to visit. All residents of Baguio we talked to some born-native of Baguio and some who immigrated from Sagada said they love Mayor Domogan because he sweeps the Burnham Park and cleans the surroundings without any bodyguard and religiously every morning. He fed all people in Baguio in the convention area beside the Burnham Park as a form of gratitude to the election results on our way to Bencab's Museum.The taxi driver who brought my colleagues to Sagada, stopped in some points and offered cigarettes to the place with prayer rituals to help the passengers safe and lead them to destinations safely. It was amazing! 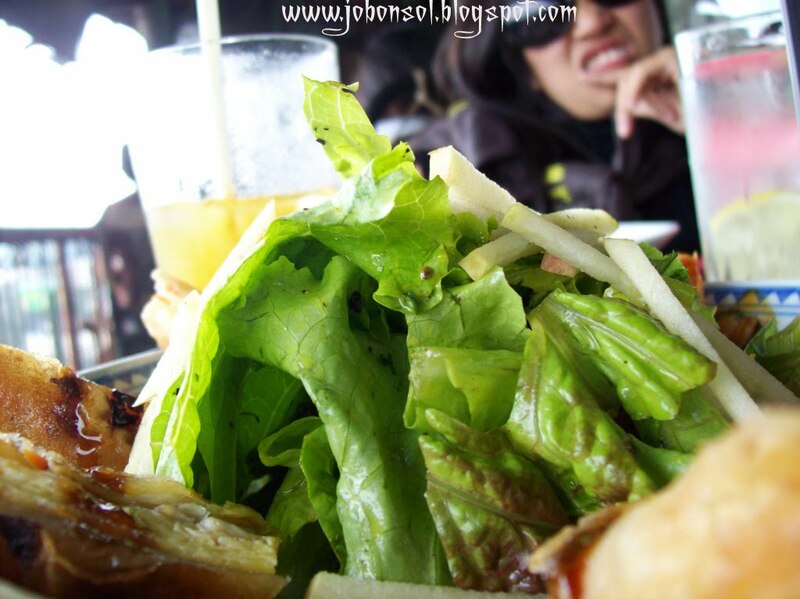 Come to Baguio and be proud of being Filipino!